Below are some recent cases regarding medical professionals and businesses who have engaged in Medicaid Fraud or other alleged prohibited activities. Our New York Medicaid Fraud attorneys have counseled employees and companies regarding their rights and obligations under the whistleblower laws. If you have a question about fraud in the workplace, call our office for a confidential consultation at 800-893-9645. 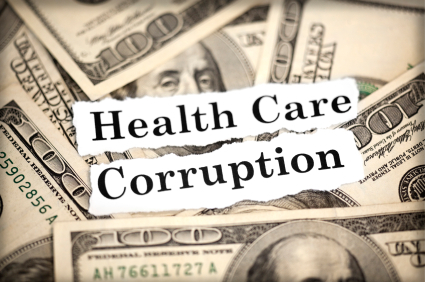 Corrupt Home Health Care Training Schools & Fraudulent Certifications – Whistleblowers uncovered a scheme regarding the use of distribution of fraudulent licensing certifications. Numerous home health care service agencies including their owners and administrators, nurses, home health aides and personal care aides were involved in schemes wherein unqualified individuals were awarded and/or purchased certifications to provide services under the New York Medicaid Program. Under the Medicaid Program, individuals generally must successfully complete at least __ hours of training before earning a certification thereby being eligible to provide services. Over one hundred individuals were criminally charged in these schemes and millions of dollars were recovered by New York State. In response to allegations raised by whistleblowers that home health care agencies hired and employed aides with fraudulent certifications, three New York agencies agreed to return approximately 24 million dollars to the New York Medicaid Program. Further, another home care services agency and its owner were ordered to repay approximately $175,000.00 in restitution to New York State in response to allegations that it used unlicensed nurses. Fraudulent Billing Practices – A Licensed Practical Nurse billed for services that she never provided to a developmentally disabled child residing in Suffolk County. It was alleged that the Nurse billed Medicaid for services she claimed she performed while, in fact, she was on a Carribean Cruise. The allegations also included claims that the Nurse billed for unauthorized nursing services and other services that she never provided at all. The Nurse pleaded guilty to grand larceny in the fourth degree and was ordered to pay restitution in excess of $43,000.00. Fraudulent Billing Practices – The owner of a home health care business in upstate New York pleaded guilty to larceny in the third degree for billing Medicaid for nursing services that were not provided. The owner was ordered to pay restitution of $105,000.00. Unfortunately, this overbilling scheme is all too often and this is just one example. Improper Billing or Other Practices by Pharmaceutical Manufacturers and Distributors - It was alleged that Pfizer, Inc. gave kickbacks to medical professionals to encourage off-labeling (i.e., to use the drug that is not approved by the FDA) marketing campaigns to illegally distribute its drugs. Pfizer allegedly gave kickbacks to medical professionals in the form of case, trips, meals and travel expenses so that they would prescribe the following drugs: Bextra, Lyrica, Celebrex, Lipitor, Norvasc, Viagra, Zithromax, Zoloft, and Zyrtec. Pfizer agreed to a settlement with nine states wherein it agreed to pay a total of $1 billion in civil damages and penalties to compensate Medicaid and other healthcare programs for its action. Further, Pharmacia & Upjohn, a subsidiary of Pfizer, agreed to pay a $1.3 billion fine and plead guilty to a felony violation of FDA for misbranding a prescription drug with the intent to defraud or mislead. Generally, while a doctor can prescribe drugs for an unapproved use, a manufacturer such as Pfizer is prohibited from promoting a drug for uses that that the FDA has not approved. Improper Billing or Other Practices by Pharmaceutical Manufacturers and Distributors – Eli Lilly and Co. paid $800 million dollars in penalties and damages (of which $91,412,355 was distributed to New York State) in a national Medicaid fraud settlement regarding allegations that it conducted an illegal, off-label marketing campaign for its prescription drug Zyprexa. Whistleblowers raised concerns about Eli Lilly’s allegations and the federal and state government brought actions against Eli Lilly. Eli Lilly also pleaded guilty to a violation of the Food, Drug and Cosmetic Act and agreed to pay a $615 million criminal fine. Improper Billing or Other Practices by Pharmaceutical Manufacturers and Distributors –Four pharmaceutical companies allegedly engaged in a billing scheme where they failed to pay appropriate rebates for drugs covered by the Medicaid Program. The companies participated entered into rebate agreements with the Medicaid Program. The companies agreed to pay quarterly rebates based upon the amount of money that Medicaid paid for the drugs. After an investigation, it was alleged that the companies underpaid the rebates. In a settlement, the companies agreed to pay a total of $124 million dollars. Improper Billing Practices by Pharmaceutical Company – A large pharmaceutical company agreed to pay $95.5 million dollars in a national settlement to resolve allegations that it intentionally misreported best prices to the Medicaid Program for its drugs. Under the Medicaid Program, the company was required to charge Medicaid the lowest or best provide it charged commercial customers and pay any related rebates. Improper Billing Practices by Hospitals – Bronx Lebanon Hospital Center was alleged to have overbilled the Medicaid Program under the terms of the 304B drug pricing program. After an investigation, it was alleged that the hospital overbilled Medicaid program by charging a higher acquisition cost for its drugs instead of the Medicaid reimbursement rate. In a settlement, the hospital agreed to pay approximately $3.5 million dollars to New York State. Improper Billing Practices by Hospitals – Three hospitals (i.e., Continum Health Partners – Beth Isreal Medical Center, Long Island College Hospital and St. Luke’s – Roosevelt Hospital) reached a settlement after it was alleged that they billed for the same services provided by hospices. Montefiore Medical Center also entered into a settlement after a hospital-hospice investigation. You can help put an end to this and blow the whistle. Call Villanueva & Sanchala, PLLC for a confidential consultation at 800-893-9645.